Digital menu boards aren’t just for disruptive startup restaurants anymore. The days of traditional menu boards are quickly fading in the QSR industry, and digital menu boards are here to stay. There are plenty of reasons why — some more obvious than others. So, if you haven’t made the switch yet, here’s why you should. Digital menu boards give you more control over what customers see and when they see it. Instead of switching out menus manually (or waiting for updates from corporate), you have the power to adjust your boards in real-time. This flexibility is undoubtedly the biggest benefit of digital menu boards. Need to update your prices? 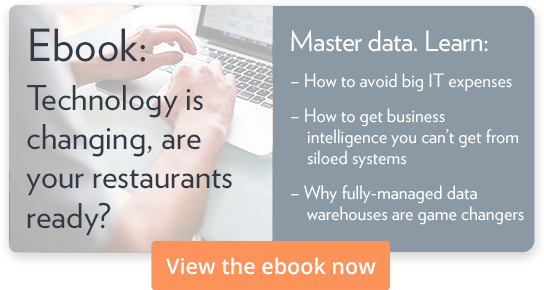 Need to incorporate new menu legislation? Digital boards can reflect those changes immediately. Run out of a favorite menu item? Pull it off of the boards or update the price to reflect that the item is sold out. Want to run a special? Highlight an item with a different color and update the price in real-time, or set up specials like happy hour pricing. If there’s anything more appealing than the ability to update your items and prices on the fly, it’s being able to showcase your menu options in better ways than ever before. Sure, your traditional menu boards had pictures of some of your best-selling items, but how often were those pictures updated? It’s not uncommon for restaurants with traditional menu boards to use the same photos for years at a time. With digital menu boards, you can display photos of as many items as you want. Set up a rotating slideshow. Mix in promotional images and specials. You could even display fun facts and trivia about your restaurant. Digital boards let you keep your menu interesting. There’s another benefit of this flexibility you may not have considered: changing the order your menu is displayed. A traditional menu board probably reads like a book — value meals and specials are in the upper-right, and as you read, you’ll see regular meal items, then sides, then drinks and desserts. But maybe you want to push your side items. Or maybe you have a unique section of the menu that doesn’t fit into one of these categories, like café items, and they’re not selling as well as you’d hoped. With digital boards, you can easily rearrange your menu and move those items to the top. Just be careful not to get carried away — too much information, especially if it’s animated, can be distracting and confusing for your customers. But don’t let that scare you into inaction, either. Digital menu boards are quickly becoming the norm, and it’s easy to see why. Digital signage offers you the flexibility to showcase your menu in ways a traditional menu board could never do. So, consider switching off those backlit boards and flip on some 21st-century digital menus.